The ultimate goal of your organic lawn is to develop such strong plants that nuisance insects like grubs can exist in your soil but are unable to cause damage to your lawn. However, if you’ve had significant issues with grubs in the past, we can apply a grub preventative treatment that is completely acceptable under all organic standards. Tree and Shrub programs that rely completely on the application of chemicals have actually caused more harm than good to existing ornamentals. When a plant is forced to grow much more rapidly than nature intended, a recipe for insect and disease infestation is created. 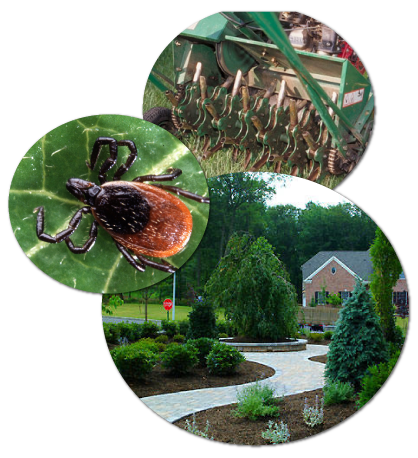 The Bee Safe organic tree and shrub program is a five step plant health care program that will protect your landscape ornamentals without the use of harsh chemical fertilizers and dangerous pesticides.